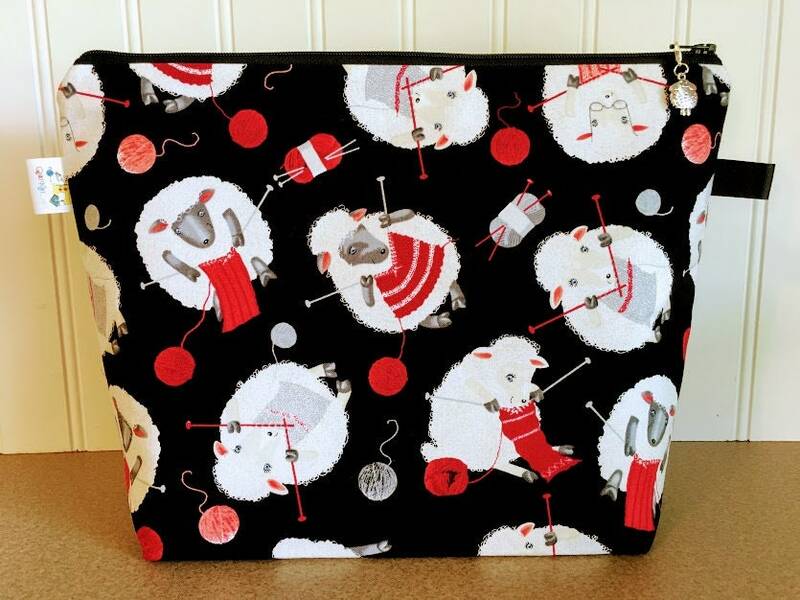 Knitting Project Bag featuring sheep knitting. 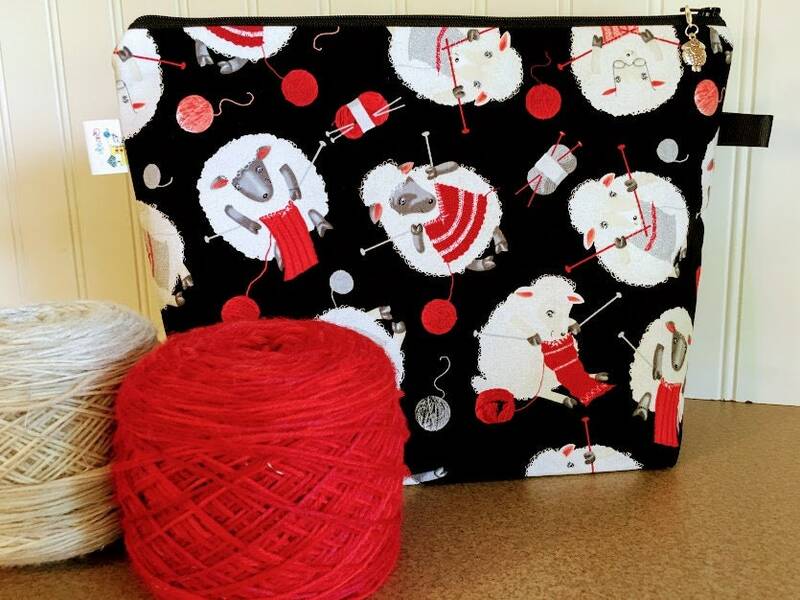 I am enjoying my new project bag. Nicely made and a great size for small projects. 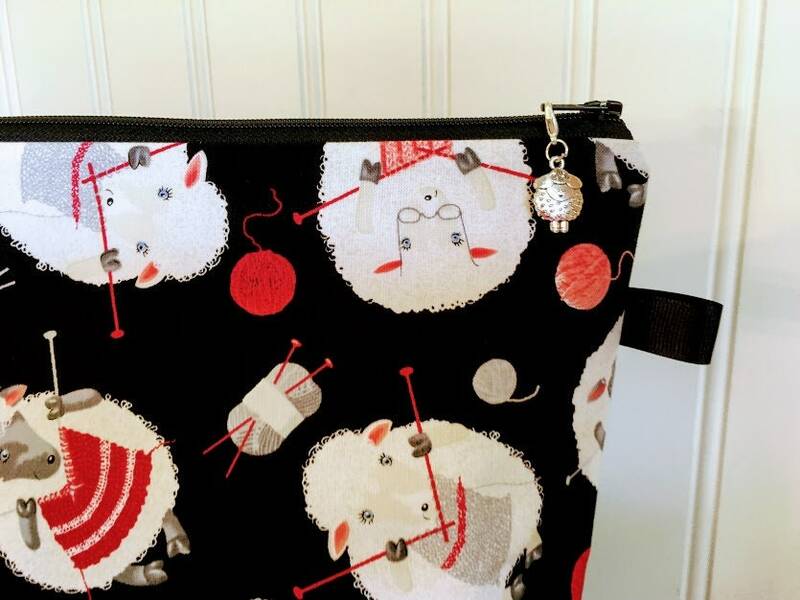 The little sheep charm on the zipper pull is the perfect touch. Appreciate the prompt processing and delivery of my order. 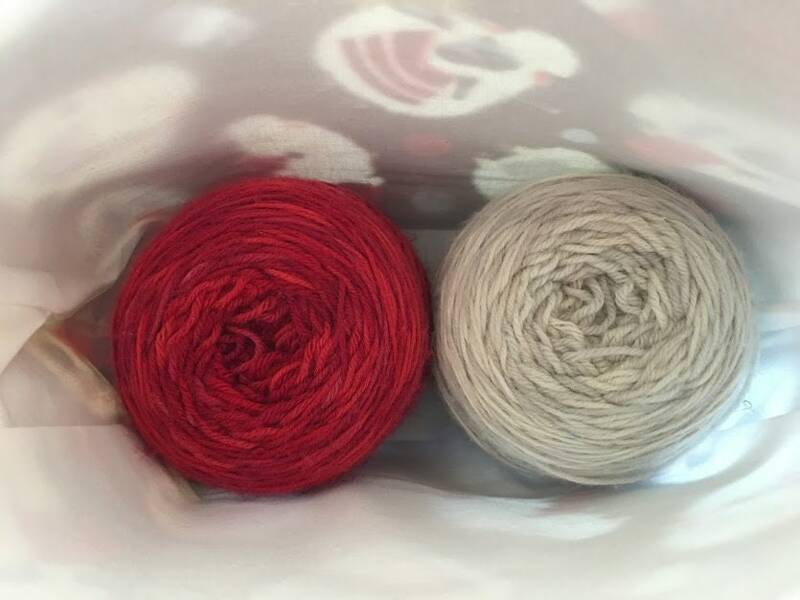 The stitch markers and tapestry needle were a nice surprise. 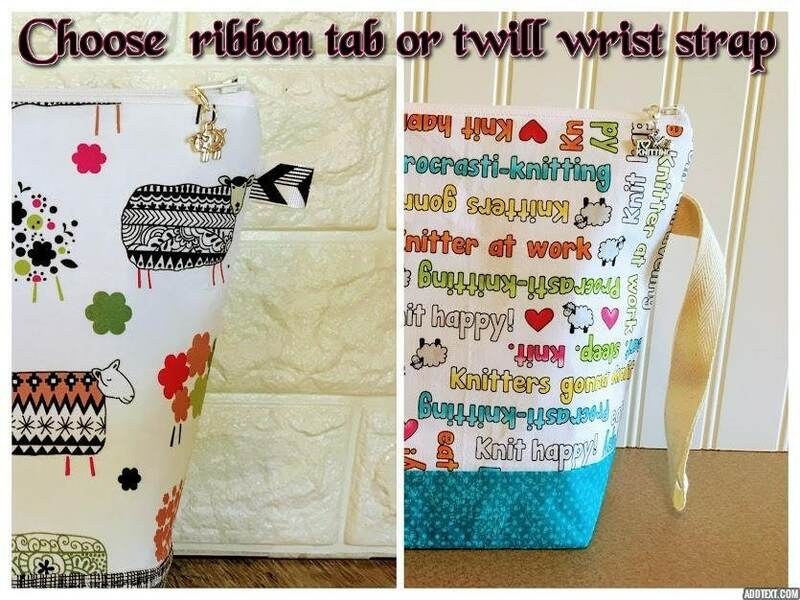 Another beautifully made bag! Thank you so much!